Classes are offered Tuesday through Thursday beginning at 6p.m. (May classes begin at 5p.m.) Classes are not offered in June, July or August due to high temperatures. One-on-one classes last about 1.5 hours and classes with two students last about 2.5 hours. Each class can contain up to two students. Each class cost $175.00 per student, to book please call the gallery, payment will need to be collected at the time of scheduling. No prerequisite or no prior experience needed! Remaining session content may vary from student to student. Assessment of current skill levels will include: Take a clean gather of glass from the furnace, marver or newspaper, proper use of the jacks, proper heat and flashing, keep glass center on the pipe, and break off the piece from the pipe. 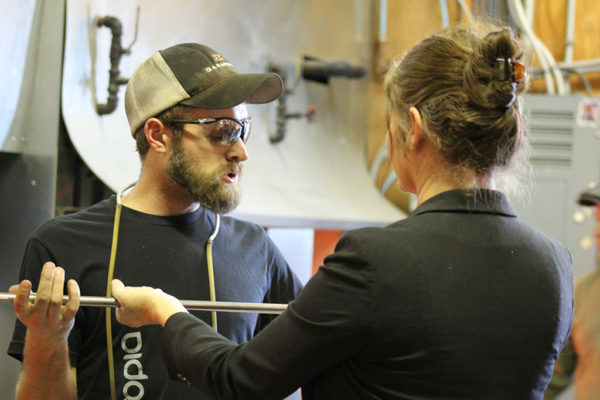 All workshops and classes are held at VETRO Glassblowing Studio in Grapevine TX. VETRO supplies all tools, glass and color within your designated time slot. You must be at least 14 years of age and no shorter than 42″ in height in order to operate the equipment safely. Minors under the age 18 will have to have an adult chaperone and both must sign a waivers. 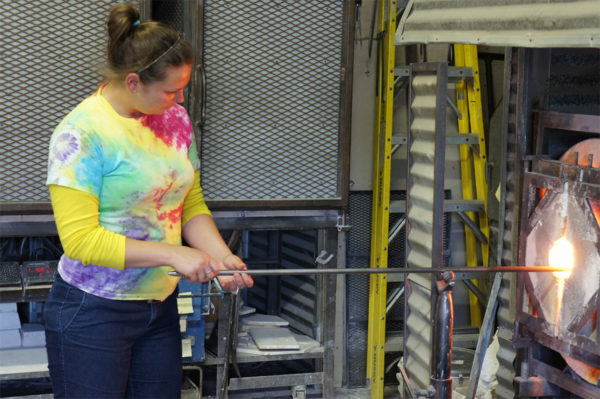 The paperweights must anneal (cool and strengthen) for a period of time after the class and will be ready for pickup or shipping 2 days following the class. Shipping is an additional charge. For all workshops listed above, the workshop is a learning experience and an advancement of skills. Vetro cannot guarantee that the actual pieces created will be successful. Should you need to reschedule you must notify the gallery 72 hours before your reservation. If you fail to notify us within the 72 hours prior to your reservation, your payment will be NON-REFUNDABLE. Should you need to CANCEL before 72 business hours of your class appointment, a refund will be granted with a processing fee of $25 deducted. We will NOT be able to reschedule nor provide a refund for no-shows. Alcohol consumption is prohibited during your appointment; intoxicated customers will be canceled without refund. Please eat a well-balanced meal before arriving for your class. Water and sports drinks are recommended; caffeinated beverages are not. A water fountain will be available to you at all times at the studio. All Alcoholic beverages or illegal substances before and or during any workshop are strictly prohibited.